In the consumer market, T-Mobile’s been taking giant strides towards revolutionizing the traditional market approach taken by carriers. One of its so-called ‘Un-carrier’ moves was to abolish roaming charges for its Simple Choice customers in the latter half of last year. Users could travel to 100 different countries and be able to text and use data (EDGE only) and not be charged a single cent for doing so. Today, it’s moved further to create a better roaming experience for an entirely different sector. Its brand new eSIM has been launched to remove costs associated with using connected devices over the border in Canada. This eSIM could be embedded in to wearable technology, or in to smart cars/trucks etc. Known as Machine-to-Machine, M2M or “The Internet of Things”. Although consumers may not benefit directly, the business sector could save a packet. 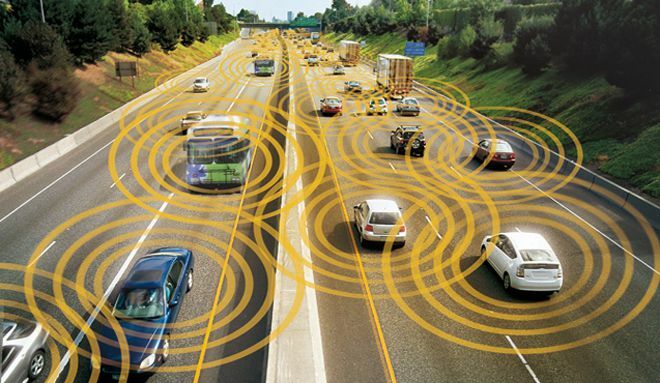 As an example, drivers with connected cars could end up being charged up to $200 per month just from using 100MB of data using mapping, email or video monitoring services in their vehicles. With T-Mobile’s new eSIM, those costs are reduced to local rates and no longer charge the user the usual roaming fees. With the connected “things” market set to explode over the coming years, T-Mobile has positioned itself well to take advantage. As more and more devices are built needing a cellular connection, more companies will make use of eSIM. And, while it’s only between Canada and USA for now, it will expand in the future to be available in more countries. T-Mobile is making it easy for innovative companies to embrace the M2M revolution. T-Mobile M2M enables always-on connectivity for products and services through T-Mobile’s nationwide network and international partners. Companies can build eSIM into an assortment of connected product categories including connected car and navigation, mobile health and wearables, among others. Think of a cloud-connected smart watch or fitness band that’s no longer restrained by borders. The potential cost-savings of eSIM are enormous. Consider a trucking company that travels frequently between the U.S. and Canada as an example. Between mapping services, video monitoring, email, fleet tracking software and vehicle diagnostics, a single truck might easily use 100MB of data per month while traveling in Canada. The roaming cost for that single truck alone could be as much as $200 per month or nearly $2,400 per year1. Starting today, eSIM is available for businesses in the connected device market to integrate into their M2M solutions. eSIM ships fully configured out-of-the-box for use with multiple international carriers and can be easily pre-built into virtually any connected product — simplifying inventory management, removing the need for SIM swapping and best of all providing local data rates. It’s sorta laughable that “100mb’s” is considered to be soooo much data…lol. Also, I wonder if this can help T-Mobile raise more capital towards the 600mhz auction??? Keep in mind, that t-Mos international data roaming is much better than EDGE. It’s actually 3G throttled to 128kbs. Big difference. When I’m abroad, and am relegated down to EDGE,the speed is abysmal. But when m device is on a 3G network, and am using the free roaming, speedtest gives it an exact 128kbs constantly. Which is great. It’s good enough even for VoIP . I totally agree. At my dentis office they dont have wifi so I had 2 hold my tablet in the window to get a weak signal from the restaurant is near by. I did a speed test and got 60kbps. It wasn’t very fast but I could do basic web browsing without a problem. The reason why they are cornering the pseudo m2m market is because they are the only company who will not convert their edge only towers to 3G or LTE. Don’t drink the koolaid, most of these “connected” devices could seriously benefit from 3G or LTE . Who wants to surf the web at 128k let alone 60kpbs. Not me. I just got back from an overseas trip. Had my T-Mobile SGS4 and IPad Air. Thoroughly enjoyed email and web access for free at 2G and 3G speeds. As a very long Tmobile customer, I always believed T-Mobile is the best. Some of my colleagues traveling with me were surprised to learn about the Tmobile’s data plans. One has to enable roaming option to get data access.